Just as I thought I would be leaving planning and ODI alone for a while a question has popped up on the Oracle forums that is probably easier to answer through a blog. 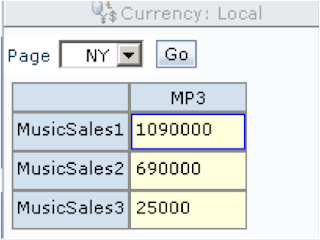 Basically the question is how is it possible to load data into planning that has a member type of Text. 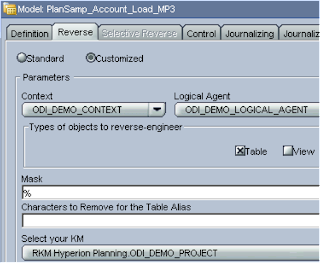 I did skip a blog about loading data into planning through ODI because I felt that it is probably more appropriate to load data directly into essbase using the essbase KMs, no matter which method you use it all ends up in essbase anyway. Seeing as the question has been asked I will show how data can be loaded using the planning KM and then move on to the Text problem. As usual I am going to demonstrate on the planning sample application so it can be easily replicated. 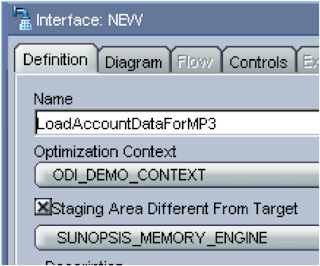 When you load data into planning you first need to set what the data load dimension will be plus you will need a driver dimension and its members you want to load data for. 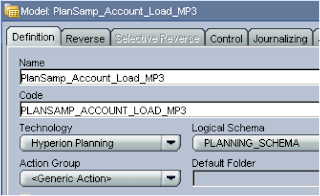 To do this choose Administration > Data Load Administration from planning web. You can output the information you entered into planning web. I created a new Model to generate the reverse for. 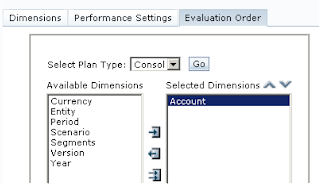 After running the “Reverse” you will have extra columns in the Account DataStore than if you had not set up the data load settings in planning. 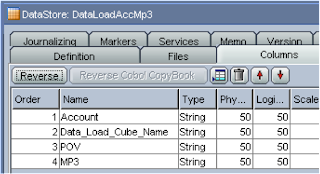 The extra columns are:- “Data Load Cube Name” which defines which essbase cube you will load the data to, “MP3” – this is the Segment member which we set in driver dimension set up and “Point-of-view” which is used to hold the remaining dimension combinations for the data load. I created a quick form to display data against the new members and for Segment MP3, now I can produce the flat file. The final column contains the data and is against MP3 as we set that as the driver dimension member. I created this as a child of a flat file Model and pointed the Resource Name to the CSV file. 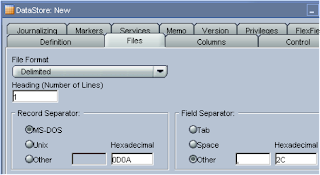 File Format of delimeted, the file has a row heading so that was set to 1, Field Seperator was set as a comma (,) and the Text Delimeter as quotation mark (“) because the CSV file has commas in it to separate the POV members and excel places quotation marks around the field. 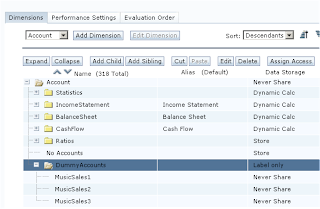 The reverse generated the columns from the csv file. 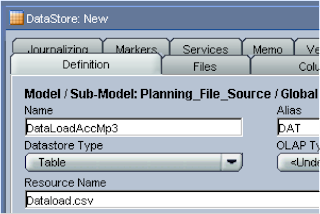 On the diagram tab, I dragged the DataStore for the csv data load file into the source window and dragged the planning app DataStore for Account on the target. Each column in the source was mapped to the target using the staging area for columns that have a different name between the source and the target. The flow diagram should resemble the above. Once I had executed the interface and checked the output log for any errors I ran the form again to check the data had been populated correctly. So there we go a quick overview on how to load data into planning using ODI, I can now move on tackle the problem of loading text data, stay tuned! Mr Goodwin, I have learned alot from you blog and I am very thankful that I found it. I have already used ODI to load meta data . I have now moved on to loading data into a planning application. I was following your steps for loading data and I configured the Data Load Administration. I then ran a reverse successfully. I then changed the Data Load Administration settings and from that point on the reverses fail. I get this message"Failed to import the models into ODI repository". Any suggestions? I know you are not Oracle Support, but it's worth a shot. Mr Goodwin, there is no doubt that your blog is a gem and I give all the credit for learning about to your blog only. I have one question regarding this topic I am trying to load data into planning using the above procedure but I am getting the error saying that ODI is not able to find the data load cube that I am mentioning can you please help me this, right now I am just giving the name of the application that I have in Planning.